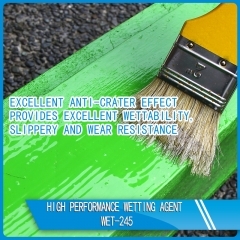 WET-245 is a high wetting agent modified by polyether siloxane copolymer. It has excellent substrate wetting, anti-crater effect and flow promotion performances. It is widely used in all kinds of water based and solvent based system. 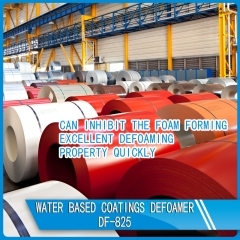 DF-825 is an effective defoamer with high compatibility. It is a white, thixotropic liquid emulsion of a polyether siloxane copolymer. It has strong defoaming characteristics for clear coat, pigmented and waterborne systems as well as for polyurethane-acrylate binders. 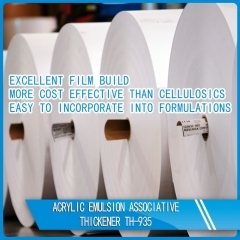 TH-935 is an associative thickener that provides excellent film build, leveling, outstanding resistance to roller spattering, and resistance to microbial attack. It is designed to give medium shear rate viscosity in latex paints. 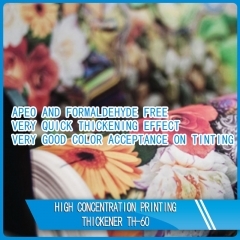 TH-60 is developed for thickening pigment printing on cotton as well as synthetic textiles. Very quick thickening effect and high electrolyte stability in pigment printing system. 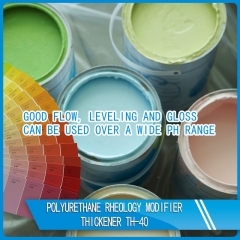 TH-40 thickens and stabilizes viscosity by forming a network between polyurethane, binder molecules and pigment particles. 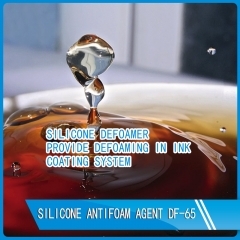 DF-900 is a high concentrated silicone defoamer excellent defoamer and deaerator for solvent-based formulations. It is a liquid and has outstanding performance particular in higher viscosity formulations. 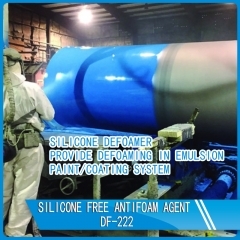 DF-222 is a liquid defoamer for emulsion paints and adhesive systems. Used for emulsion paints/coatings based on acrylic, styrene-butadiene, polyvinyl chloride and its copolymers, ethylene-vinyl acetate, vinylidene chloride and water-soluble alkyds. 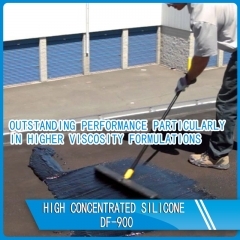 DF-65 is a silicone antifoam agent used to provide defoaming and improve leveling, wetting and slip properties. It is applicable for ink and coating system.